[a]ppellant Matthew Vaughn Diamond appeals his convictions of second-degree burglary, misdemeanor theft, and fourth-degree criminal damage to property following a jury trial. On appeal, Diamond argues his convictions must be reversed because. . . . the district court violated his Fifth Amendment privilege against compelled self-incrimination by ordering him to provide his fingerprint so police could search his cellphone. . . .
On October 30, 2014, M.H. left her Chaska home between 10:30 and 10:45 a.m. to run errands. M.H. returned home around noon and noticed that the attached garage's side-entry door appeared to have been kicked in from the outside. M.H. called the police after discovering that a safe, a laptop, and several items of jewelry were missing from her home. While waiting for police to arrive, M.H. found an envelope in her driveway that had the name of S.W. written on it. Police took photographs and measurements of the shoeprints left on the garage's side-entry door. Detective Nelson of the Chaska Police Department used state databases to determine S.W. 's car model and license plate number and that S.W. had pawned several pieces of jewelry at a Shakopee pawn shop on October 30. M.H. later verified that the pawned jewelry was stolen from her home. On November 4, police located S.W. 's car, which Diamond was driving at the time. Diamond was arrested on an outstanding warrant unrelated to this case. He was booked at the Scott County jail, where staff collected and stored his property, including his shoes and cellphone. The following day, Detective Nelson went to the jail and viewed the property that was taken from Diamond. Detective Nelson observed similarities between the tread of Diamond's shoes and the shoeprints left on the garage's side-entry door. Detective Nelson informed the jail staff that she was going to seek a warrant to seize Diamond's property and gave instructions not to release the property to anyone. Later that day, S.W. attempted to collect Diamond's property but was told that it could not be released. On November 6, Detective Nelson obtained and executed a warrant to search for, and seize, Diamond's shoes and cellphone. On November 12, Detective Nelson obtained an additional warrant to search the contents of Diamond's cellphone. Detective Nelson was unable to unlock the cellphone. She returned the warrant on November 21. [t]he officer executing the warrant must promptly return it—together with a copy of the inventory—to the magistrate judge designated on the warrant. The officer may do so by reliable electronic means. The judge must, on request, give a copy of the inventory to the person from whom, or from whose premises, the property was taken and to the applicant for the warrant. Federal Rules of Criminal Procedure 41(f)(1)(D). [i]n December, the state filed a motion to compel Diamond to provide his fingerprint on the cellphone to unlock the phone. The motion was deferred to the contested omnibus hearing. Following that hearing, the district court issued an order, filed February 11, 2015, concluding that the warrant to search Diamond's cellphone was supported by probable cause and that compelling Diamond to provide his fingerprint to unlock the cellphone does not violate his Fifth Amendment privilege against compelled self-incrimination. The district court granted the state's motion to compel and ordered Diamond to provide a fingerprint or thumbprint to unlock his cellphone. Diamond refused to comply. On April 3, the district court found Diamond in civil contempt and informed him that compliance with the order would remedy the civil contempt. Diamond provided his fingerprint, and police immediately searched his cellphone. [a]t a second omnibus hearing Diamond challenged the refusal to release his cellphone and shoes to S.W., arguing that it constituted a warrantless seizure not justified by any exception to the warrant requirement. The district court's April 3 order concluded that the seizure was justified by exigent circumstances and was tailored to protect against the destruction of evidence while a warrant was sought and obtained. Diamond thereafter brought a pro se motion to suppress all evidence derived from his cellphone and shoes, which the district court denied, relying on the previous orders from February 11 and April 3. At Diamond's jury trial, S.W. testified that: (1) she believed she was working the day of the burglary; (2) the envelope found in M.H. 's driveway belonged to S.W., and it was in her car the last time she saw it; (3) S.W. sometimes let Diamond use her car when she was working; and (4) on the day of the burglary, Diamond gave her M.H. 's stolen jewelry, and the two of them traveled to the Shakopee pawn shop, where she sold the jewelry. In addition, the state also introduced evidence that: (1) Diamond's wallet and identification card were found in S.W. 's car; (2) Diamond and S.W. exchanged phone calls and text messages throughout the day of the burglary; (3) Diamond's cellphone pinged off cell towers near M.H. 's residence on the day of the burglary; (4) the tread pattern on Diamond's shoes was similar to the shoeprints on the garage's side-entry door; and (5) while in jail, Diamond told S.W. “the only thing that [the state is] going to be able to charge me with is receiving stolen property” and that his attorney said the case would be dismissed if S.W. did not testify or recanted her statement. [t]he jury found Diamond guilty of second-degree burglary, misdemeanor theft, and fourth-degree criminal damage to property. The district court sentenced Diamond to 51 months in prison for the second-degree burglary and to 90 days in jail for the fourth-degree criminal damage to property. Diamond appealed, raising three different issues. As noted above, this post only examines one of them: “Did the district court err by ordering Diamond to provide his fingerprint so police could search his cellphone?” State v. Diamond, supra. Diamond argues that the district court's order to provide his fingerprint to unlock his cellphone violated his Fifth Amendment privilege against compelled self-incrimination. This is an issue of first impression for Minnesota appellate courts. Whether the district court violated Diamond's Fifth Amendment privilege against self-incrimination is a question of law, which this court reviews de novo. State v. Kaquatosh, 600 N.W.2d 153, 156 (Minn. App. 1999), review denied (Minn. Dec. 14, 1999). (1973) (voice exemplar); Gilbert v. California, 388 U.S. 263, 266–67 (1967) (voice (1967) (handwriting exemplar); United States v. Wade, 388 U.S. 218, 221–22 (1967) (lineup); Schmerberv. California, 384 U.S. 757, 765 (1966) (blood sample); Holt v.United States, 218 U.S. 245, 252–53 (1910) (clothing)). In addition, the Supreme Court has recognized that `both federal and state courts have usually held that [the Fifth Amendment] offers no protection against compulsion to submit to fingerprinting.’ Schmerber, supra; see Doe, 487 U.S. at 219, 108 S.Ct. at 2352 \(Stevens, J., dissenting) (`Fingerprints, blood samples, voice exemplars, handwriting specimens, or other items of physical evidence may be extracted from a defendant against his will’); State v. Breeden, 374 N.W.2d 560, 562 (Minn. App. 1985) (`The gathering of real evidence such as blood samples, fingerprints, or photographs does not violate a defendant's [F]ifth [A]mendment rights’). Diamond relies on In re Grand Jury Subpoena Duces Tecum, 670 F.3d 1335 (11th Cir. 2012), to support his argument that supplying his fingerprint was testimonial. In In re Grand Jury, the court reasoned that requiring the defendant to decrypt and produce the contents of a computer's hard drive, when it was unknown whether any documents were even on the encrypted drive, `would be tantamount to testimony by [the defendant] of his knowledge of the existence and location of potentially incriminating files; of his possession, control, and access to the encrypted portions of the drives; and of his capability to decrypt the files.’ Id. at 1346. The court concluded that such a requirement is analogous to requiring production of a combination and that such a production involves implied factual statements that could potentially incriminate. Id. By being ordered to produce his fingerprint, however, Diamond was not required to disclose any knowledge he might have or to speak his guilt. See Doe, 487 U.S. at 211, 108 S.Ct. at 2348. The district court's order is therefore distinguishable from requiring a defendant to decrypt a hard drive or produce a combination. See, e.g., In re Grand Jury, 670 F.3d at 1346; United States v. Kirschner, 823 F.Supp.2d 665, 669 (E.D. Mich. 2010) (holding that requiring a defendant to provide computer password violates the Fifth Amendment). Those requirements involve a level of knowledge and mental capacity that is not present in ordering Diamond to place his fingerprint on his cellphone. Instead, the task that Diamond was compelled to perform—to provide his fingerprint—is no more testimonial than furnishing a blood sample, providing handwriting or voice exemplars, standing in a lineup, or wearing particular clothing. See Doe, 487 U.S. at 210, 108 S.Ct. at 2347–48. Diamond argues, however, that the district court's order effectively required him to communicate `that he had exclusive use of the phone containing incriminating information.’ This does not overcome the fact that such a requirement is not testimonial. In addition, Diamond provides no support for the assertion that only his fingerprint would unlock the cellphone or that his provision of a fingerprint would communicate his exclusive use of the cellphone. [i]t is clear that the district court permitted the state to take samples of all of Diamond's fingerprints and thumbprints. The district court did not ask Diamond whether his prints would unlock the cellphone or which print would unlock it, nor did the district court compel Diamond to disclose that information. There is no indication that Diamond would have been asked to do more had none of his fingerprints unlocked the cellphone. Diamond himself asked which finger the detectives wanted when he was ready to comply with the order, and the detectives answered his question. Diamond did not object then, nor did he bring an additional motion to suppress the evidence based on the exchange that he initiated. In sum, because the order compelling Diamond to produce his fingerprint to unlock the cellphone did not require a testimonial communication, we hold that the order did not violate Diamond's Fifth Amendment privilege against compelled self-incrimination. The Court of Appeals appended a footnote after the last sentence in the paragraph immediately above, in which it explained that “[w]e express no opinion regarding whether, in a given case, a defendant may be compelled to produce a cellphone password, consistent with the Fifth Amendment.” State v. Diamond, supra. Christopher Johnston appeals the qualification of State's expert called to discuss forensic analysis of social media records and digital trails, and the admission of that expert's opinion regarding the statistical probability of multiple Facebook accounts belonging to people other than Johnston. Johnston met the victim, D.K., in 2012. Johnston proceeded to contact D.K. via phone calls, texts, and social media until 2015. D.K. requested, on several occasions and by various means, that Johnston stop contacting her. He did not. On May 30, 2014, D.K. obtained a protective order against Johnston. On February 7, 2015, Johnston was arrested after going to D.K. 's home. He claimed to not know D.K. Johnston was served with the protective order on his release from custody. On March 9, 2015, Johnston went to D.K. 's home. D.K. called the police, but they were unable to locate Johnston when they responded. On March 10, 2015, Johnston again went to D.K. 's home, and this time he was arrested. On April 10, 2015, the State charged Johnston with Level 5 felony stalking for going to D.K. 's residence in March 2015, Level 6 felony stalking for going to D.K. 's residence in February 2015, and two counts of Class A misdemeanor invasion of privacy. The State later amended these charges to add another count of Level 5 felony stalking for texts and Facebook messages sent between April 2013 and July 2013, and of Level 6 felony stalking for Facebook messages sent between February 2014 and May 2014. [d]etectives at the Indianapolis Metropolitan Police Department (`IMPD') analyzed D.K. 's cell phone messages and Facebook account. 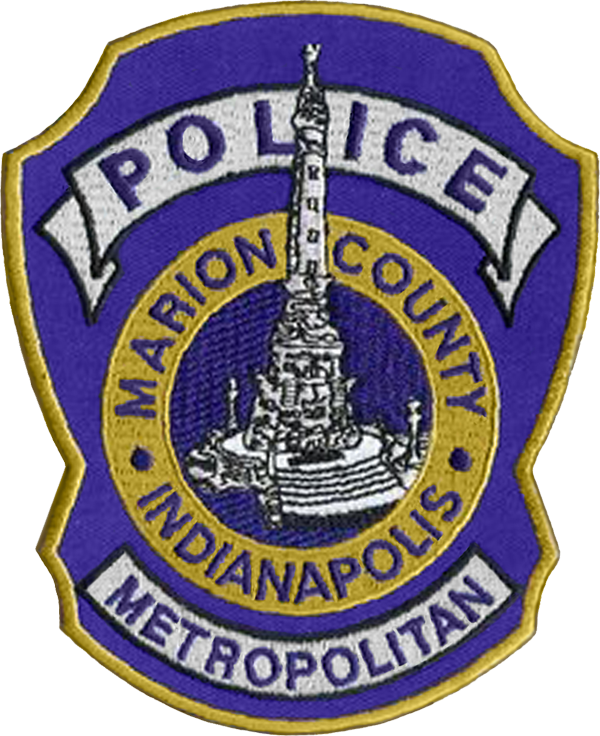 IMPD officers also analyzed the Facebook accounts alleged to be owned by Johnston under several aliases. 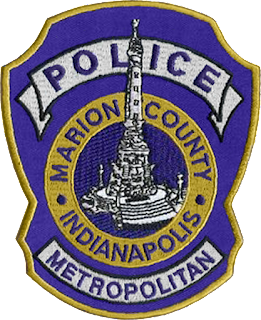 The State presented Sergeant Steven Schafer of the IMPD Computer and Digital Forensic Unit to testify as an expert in forensic analysis of social media records and digital trails. Johnston objected to Sergeant Schafer's qualifications as an expert able `to render an opinion as to how any of these Facebook records may or may not be linked together [or] traced back to [Johnston].’ (Tr. at 182-83.) The trial court overruled his objection. Sergeant Schafer testified there were multiple Facebook accounts believed to be Johnston's alias accounts, and those accounts were registered under the names: `James Jordan,’ (Ex. 24, p. 1), `Chris Stark,’ (Ex. 25, p. 1), `Sam Hesh,’ (Ex. 26, p. 1), `Chris Crown,’ (Ex. 27, p. 1), and `Chris Stone,’ (Ex. 28, p. 1). Each of those accounts was affiliated with internet cookies that were attached to the same device, and all of the accounts had accessed the internet by the same IP address. During re-direct examination, when the State asked Sergeant Schafer about the likelihood of multiple people using the same device and same IP address to contact D.K. with messages of a similar tone, he said it was less likely than `being struck by lightning while hitting the super lotto and being bitten by a polar bear at the same time.’ (Tr. at 225) (hereinafter, `Polar Bear Analogy’). Johnston did not object to that statement. The trial court found Johnston guilty on all counts but, due to double jeopardy concerns, did not enter judgment on the invasion of privacy counts. Sergeant Schafer was not qualified to give his opinion as an expert. A witness is `qualified as an expert by knowledge, skill, experience, training, or education,’ to testify in the form of an opinion `if scientific, technical or specialized knowledge will assist the trier-of-fact to understand the evidence or determine a fact in issue.’ Indiana Evidence Rule 702(a). 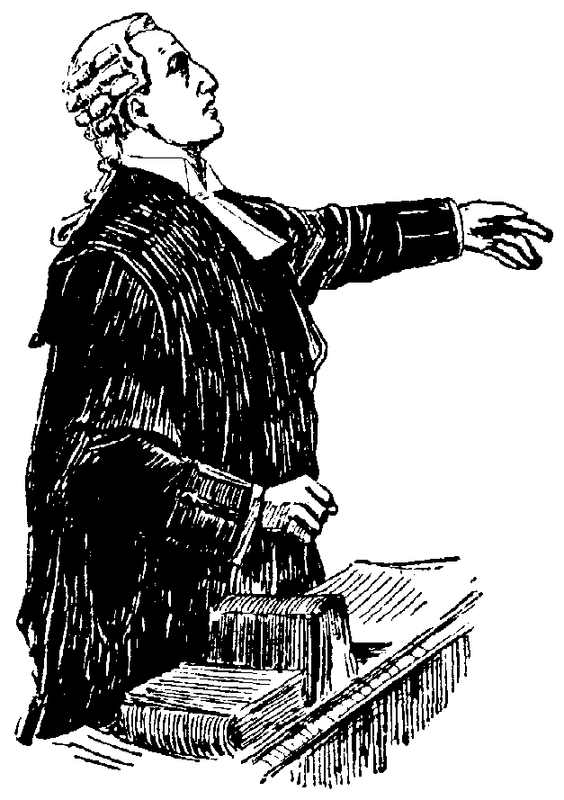 To qualify as an expert, the subject of a `witness's testimony must be distinctly related to some scientific field, business, or profession beyond the knowledge of the average person, and the witness must have sufficient skill, knowledge, or experience in that area so that the opinion will aid the trier of fact.’ Hastings v. State, 58 N.E.3d 919, 924 (Ind. Ct. App. 2016). The trial court has broad discretion when qualifying an expert, and we review its decision only for an abuse of discretion. INS Investigations Bureau, Inc. v. Lee, 709 N.E.2d 736, 744 (Ind. Ct. App. 1999), trans. denied. When reviewing a decision under an abuse of discretion standard, we will affirm if there is any evidence to support the decision. Sparkman v. State, 722 N.E.2d 1259, 1262 (Ind. Ct. App. 2000). `It is within the trial court's sound discretion to decide whether a person qualifies as an expert witness. On appeal, we will not substitute our judgment for that of the trial court.' Burnett v. State, 815 N.E.2d 201, 204 (Ind. Ct. App. 2004) (internal citations omitted), reh'g denied. Johnston argues the trial court abused its discretion in qualifying Sergeant Schafer as an expert in `a field of study which is highly technical and therefore susceptible to misunderstanding, confusion, and error,’ (Appellant's Br. at 16), when Sergeant Schafer did not have the requisite training in statistics to form a valid opinion about the probability of an event. However, the State did not present, and the trial court did not declare, Sergeant Schafer to be an expert in statistics. Rather, he was qualified as an expert in forensic analysis of social media records and digital trails. (Tr. at 179.) He also gave extensive examples of the work he has done with social media accounts, the analysis undertaken with that information, and how users of social media are identified. He estimated he had requested records and analyzed them in `easily 300-plus’ cases. (Id. at 181.) Thus, we cannot say the court abused its discretion in qualifying Sergeant Schafer as an expert capable of helping the court understand the evidence regarding internet technology and social media. See Armstrong v. State, 22 N.E.3d 629, 642 (Ind. Ct. App. 2014) (officer's training and experience qualified him to testify as an expert on gang activity), trans. denied. (Id. at 225) (errors in original). Admission of opinion testimony is within the discretion of the trial court. Julian v. State, 811 N.E.2d 392, 399 (Ind. Ct. App. 2004), trans. denied. The court must be `satisfied that the expert testimony rests upon reliable scientific principles’ in order to admit the testimony. Ind. R. Evid. 702(b). A decision to admit evidence will not be reversed absent a showing of manifest abuse of the trial court's discretion resulting in the denial of a fair trial. Davis v. State, 791 N.E.2d 266, 268 (Ind. Ct. App. 2003), reh'g denied, trans. denied. In determining the admissibility of evidence, we consider only the evidence in favor of the trial court's ruling and unrefuted evidence in the defendant's favor. Id. However, Johnston did not object at trial to the Polar Bear Analogy, so he now claims fundamental error that denied him a fair trial. Appellate courts may, on rare occasions, resort to the fundamental error exception to address on direct appeal an otherwise procedurally defaulted claim. Jewell v. State, 887 N.E.2d 939, 942 (Ind. 2008). But fundamental error is extremely narrow and available only when the record reveals a clearly blatant violation of basic and elementary principles, where the harm or potential for harm cannot be denied, and when the violation is so prejudicial to the rights of the defendant as to make a fair trial impossible. Id. Johnston cannot meet that standard. [f]irst, Johnston was tried to the bench, not a jury. As such, we give due consideration to the presumption of judicial-temperance. See Coleman v. State, 558 N.E.2d 1059, 1062 (Ind. 1990) (during a bench trial, we presume the `court renders its decisions solely on the basis of relevant and probative evidence’), reh'g denied. To rebut this presumption, Johnston would need to demonstrate prejudice, but Johnston did not argue the trial court relied on Sergeant Schafer's statement. See Hinesley v. State, 999 N.E.2d 975, 988 (Ind. Ct. App. 2013) (if trial court does not rely on disputed evidence, the appellant `fail[s] to rebut the judicial-temperance presumption’), reh'g denied, trans. denied. The State asked Sergeant Schafer's opinion whether, definitively, these messages were all sent to D.K. by the same person. Johnston objected, and the trial court prohibited Sergeant Schafer from answering that question. Instead, the trial court was left to draw its own conclusions from the evidence, and the record suggests the trial court took the time to do just that. (See Tr. at 275) (When announcing its ruling, the trial court stated: `Over the weekend, I reviewed all of the text messages and all of the Facebook messages that were submitted.’). Given the evidence in the record, the presumption of judicial-temperance, and the fact Johnston did not present any evidence demonstrating prejudice, Johnston has not demonstrated fundamental error in the admission of Sergeant Schafer's Polar Bear Analogy. See, e.g., Newbill v. State, 884 N.E.2d 383, 398 (Ind. Ct. App. 2008) (no abuse of discretion in the admission if fundamental error not proven), trans. denied. [t]he trial court did not abuse its discretion in qualifying Sergeant Schafer as an expert, and Johnston has not demonstrated fundamental error in the admission of Sergeant Schafer's Polar Bear Analogy. Accordingly, we affirm Johnston's convictions. Arthur West submitted a public records request under the Public Records Act (PRA) to the city of Puyallup (City) for the `communications received or posted’ through a personal website and associated e-mail account run by city council member Steve Vermillion. Clerk's Papers (CP) at 41. Vermillion refused to provide records that were in his home, on his personal computer, or in the e-mail account associated with his website, citing privacy provisions of the Washington and United States Constitutions. The City supported Vermillion's position. West sued. The superior court granted West's motion for summary judgment requiring Vermillion to search for and produce the requested records. Vermillion and the City appeal, arguing that the superior court erred because article I, section 7 of the Washington Constitution and the First and Fourth Amendments to the United States Constitution protect the requested documents. In 2009, Vermillion created a website and an e-mail account associated with the website to aid in his state congressional campaign. Vermillion continued to use the website and e-mail after the campaign ended for various civic groups with which he was involved. In 2011, Vermillion began using the website and e-mail to campaign for a position on the Puyallup City Council. Vermillion was elected to the Puyallup City Council effective January 1, 2012. After being elected, Vermillion occasionally received e-mails from constituents, as well as people from the City, through his website and personal e-mail account. Vermillion also used his website and e-mail to coordinate with other city council candidates. When Vermillion received an e-mail that required an official response or action, he would forward the e-mail to the appropriate person at the City and then delete it from his e-mail. Vermillion said he used his City e-mail account when conducting City business, and he considered his website and the associated e-mail account to be “personal papers.” CP at 70. West submitted a public records request to the City for the communications received or posted through city council member Steve Vermillion's website that `concern[ed] the City of Puyallup, City business, or any matters related to City governance the City Council and mayor, or his membership on the City Council.’ CP at 40. Vermillion refused to provide records that were at his home, on his personal computer, or in his non-City e-mail account. The City informed West that the records he sought were not within the City's possession or control. West filed a public records request action against the City and Vermillion. West, the City, and Vermillion filed cross-motions for summary judgment. The superior court denied the City's motion, but granted West's motion in part, ruling that (1) the Fourth Amendment’s protections against search and seizure were not implicated because Vermillion had no reasonable expectation of privacy in communications `related to the public's business’; (2) the privacy protections under article I, section 7 did not apply because West was not seeking private information; (3) the First Amendment was not implicated because West was not asking for political activity records; (4) Vermillion was not subject to the City's policy prohibiting City employees and volunteers from performing city business on personal or third-party `technology resource[s],’ which include electronic or digital communications and commingling of City and non-City data files; and (5) the public has a right to inspect public records located on a personal computer unless the records are `highly offensive to a reasonable person and are not of legitimate public concern.’ CP at 183–85. The superior court then ordered Vermillion `under penalty of perjury [to] produce records that are within the scope of [p]laintiff's records request.’ CP at 185. The superior court also granted a CR 54(b) certification. Vermillion and the City appealed directly to the Washington Supreme Court. The Supreme Court transferred the appeal to this court for review. [o]ur Supreme Court's decision in Nissen v. Pierce County, 183 Wash.2d 863, 357 P.3d 45 (2015) controls. Accordingly, we conclude that the arguments raised by Vermillion and the City fail, but we remand for the superior court to amend its order to conform to the language and procedure set forth in Nissen. When Vermillion received an e-mail that required an official response or action, he would forward the e-mail to the appropriate person at the City and then delete it from his e-mail. Vermillion said he used his City e-mail account when conducting City business, and he considered his website and the associated e-mail account to be `personal papers.’ CP at 70. West, the City, and Vermillion filed cross-motions for summary judgment. The superior court denied the City's motion, but granted West's motion in part, ruling that (1) the Fourth Amendment’s the protections against search and seizure were not implicated because Vermillion had no reasonable expectation of privacy in communications `related to the public's business’; (2) the privacy protections under article I, section 7 did not apply because West was not seeking private information; (3) the First Amendment was not implicated because West was not asking for political activity records; (4) Vermillion was not subject to the City's policy prohibiting City employees and volunteers from performing city business on personal or third-party `technology resource[s],’ which include electronic or digital communications and commingling of City and non-City data files; and (5) the public has a right to inspect public records located on a personal computer unless the records are `highly offensive to a reasonable person and are not of legitimate public concern.’ CP at 183–85. The superior court then ordered Vermillion “under penalty of perjury [to] produce records that are within the scope of [p]laintiff's records request.” CP at 185. The superior court also granted a CR 54(b) certification. We review PRA requests and summary judgment orders de novo. RCW 42.56.550(3); Nissen, 183 Wash.2d at 872, 357 P.3d 45; West v. Thurston County, 169 Wash.App. 862, 865, 282 P.3d 1150 (2012). We also review `the application of a claimed statutory exemption without regard to any exercise of discretion by the agency.’ Newman v. King County, 133 Wash.2d 565, 571, 947 P.2d 712 (1997). The PRA `”is a strongly worded mandate for broad disclosure of public records.”’ Progressive Animal Welfare Soc. v. Univ. of Wash., 125 Wash.2d 243, 251, 884 P.2d 592 (1994) (pluralityopinion) (quoting Hearst Corp. v. Hoppe, 90 Wash.2d 123, 127, 580 P.2d 246 (1978)). We are required to construe the PRA's disclosure provisions liberally and its exemptions narrowly. Progressive Animal Welfare, 125 Wash.2d at 251, 884 P.2d 592 (plurality opinion). `The burden of proof shall be on the agency to establish that refusal to permit public inspection and copying is in accordance with a statute that exempts or prohibits disclosure in whole or in part of specific information or records.’ RCW 42.56.550(1). Unless the requested record falls within a specific exemption of the PRA, or other statute that exempts or prohibits disclosure of specific information or records, the agency must produce the record. Soter v. Cowles Publ’g Co., 162 Wash.2d 716, 730, 174 P.3d 60 (2007); RCW 42.56.070(1). [s]ubsequent to West's request, the superior court's decision, and the parties' submission of appellate briefs, our Supreme Court decided Nissen, 183 Wash.2d 863, 357 P.3d 45. The parties then filed supplemental briefing addressing Nissen. The Nissen opinion is dispositive of the issues raised on appeal in this case. In Nissen, the court considered whether an elected county prosecutor's text messages on work-related matters sent and received from a private cell phone may be public records. 183 Wash.2d at 873, 357 P.3d 45. The records request asked for production of `any and all of [elected county prosecutor's] cellular telephone records for [private telephone number] or any other cellular telephone he uses to conduct his business including text messages from August 2, 2011,’ and for `[elected county prosecutor's] cellular telephone records for [private telephone number] for June 7, 2010.’ Nissen, 183 Wash.2d at 869–70, 357 P.3d 45 (footnotes omitted). Nissen first considered whether records of government business conducted on a private phone were `public record [s]’ as defined in the PRA; then whether the specific records requested were `public record[s]’; and finally, how `public records’ in the exclusive control of public employees could be sought and obtained. 183 Wash.2d at 873, 357 P.3d 45. [f]irst, Nissen held that `records an agency employee prepares, owns, uses, or retains on a private cell phone within the scope of employment can be a public record if they also meet the other requirements of RCW 42.56.010(3).’ 183 Wash.2d at 877, 357 P.3d 45. In reaching this conclusion, the court noted that a public record is `”prepared, owned, used, or retained by [a] state or local agency’ ” but that state and local agencies “lack an innate ability to prepare, own, use, or retain any record” independently, and “instead act exclusively through their employees and other agents.’ Nissen, 183 Wash.2d at 876, 357 P.3d 45 (alteration in original) (quoting RCW 42.56.010(3)). Thus, when the employee or other agent `acts within the scope of his or her employment, the employee's actions are tantamount to ‘the actions of the [body] itself.’ Nissen, 183 Wash.2d at 876, 357 P.3d 45 (alteration in original) (quoting Houser v. City of Redmond, 91 Wash.2d 36, 40, 586 P.2d 482 (1978)). `An employee's communication is “within the scope of employment” only when the job requires it, the employer directs it, or it furthers the employer's interests.’ Nissen, 183 Wash.2d at 878, 357 P.3d 45 (quoting Greene v. St. Paul–Mercury Indem. Co., 51 Wash.2d 569, 573, 320 P.2d 311 (1958)). Second, the Nissen court considered whether the specific records requested were public records. The court noted that the text messages were a writing, and considered whether the requested records `”relat[e] to the conduct of government or the performance of any governmental or proprietary function”’ and were `”prepared, owned, used, or retained” by an agency.’ Nissen, 183 Wash.2d at 880–81, 357 P.3d 45 (alteration in original) (quoting RCW 42.56.010(3)). The court held that the content of the text messages requested were potentially public records subject to disclosure because the requester sufficiently alleged that the elected prosecutor put `”work related”’ outgoing text messages `”into written form”’ and `”used”’incoming text messages `while within the scope of employment,’ thereby satisfying the three elements of a public record in RCW 42.56.010(3). Nissen, 183 Wash.2d at 882–83, 357 P.3d 45. Nissen, 183 Wash.2d at 886, 357 P.3d 45. [a]ppellants argue that the superior court erred in ordering Vermillion `to produce e[-]mails from his personal e[-]mail account and swear under [penalty of] perjury that he had complied.’ Br. of Appellant (Vermillion) at 3. Specifically, Vermillion argues that the PRA does not `authorize an agency to require an elected official to search a personal e[-]mail account.’ Br. of Appellant (Vermillion) at 4. We reject Vermillion's argument. Nissen squarely addressed this argument and held that an agency's employees or agents must search their own `files, devices, and accounts,’ and produce any public records, including `e-mails,’ to the employer agency that are responsive to the PRA request. 183 Wash.2d at 886, 357 P.3d 45. The Nissen court also held that affidavits by the agency employees, submitted in good faith, are sufficient to satisfy the agency's burden to show it conducted an adequate search for records. 183 Wash.2d at 885, 357 P.3d 45. Thus, we hold that it was proper for the superior court to require Vermillion to produce to the City e-mails in his personal e-mail account that meet the definition of a public record under RCW 42.56.010(3) and to submit an affidavit in good faith attesting to the adequacy of his search for the requested records. Under Nissen, appellants' arguments fail. However, because the superior court issued its order before our Supreme Court decided Nissen, we remand this case for the superior court to amend its order to conform to the language and procedure set forth in Nissen. This will include requiring Vermillion to conduct `”an adequate search”’ of the undisclosed e-mails. Nissen, 183 Wash.2d at 885, 357 P.3d 45 (quoting Neigh. All., 172 Wash.2d at 721, 261 P.3d 119). In doing so Vermillion must `in good faith . . . submit ‘reasonably detailed, nonconclusory affidavits' attesting to the nature and extent of [his] search.’ Nissen, 183 Wash.2d at 885, 357 P.3d 45 (quoting Neigh. All., 172 Wash.2d at 721, 261 P.3d 119). We affirm, but we remand for the superior court to amend its order in light of Nissen v. Pierce County, 183 Wash.2d 863, 357 P.3d 45 (2015).